Posted on September 14, 2012 by admin in Blog, Food. 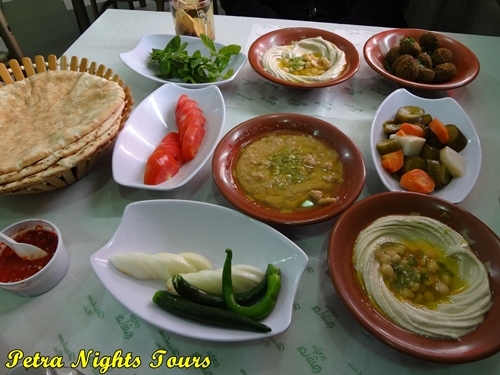 If you have the possibility try a breakfast in one of the local cafes, which will be a different experience than the western styled buffet at the hotels. 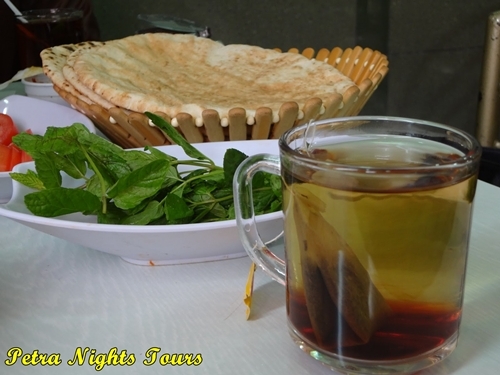 A typical, hearty breakfast in Jordan consists of hummus, falafel, ful, pickles, pitta bread and the obligatory cup of tea with fresh mint. Like you see there is no spoon or fork. It is eaten with the hands and the pitta bread is used as a kind of spoon to scoop up the soft hummus and ful. Certainly it is no problem to ask the waiter for a cutlery.